Most freelancers, or owner/operators of sole trader businesses, work from home. If they work from home and are service providers – e.g. editors, book-keepers, writers – their workplace is usually an office within their own home. 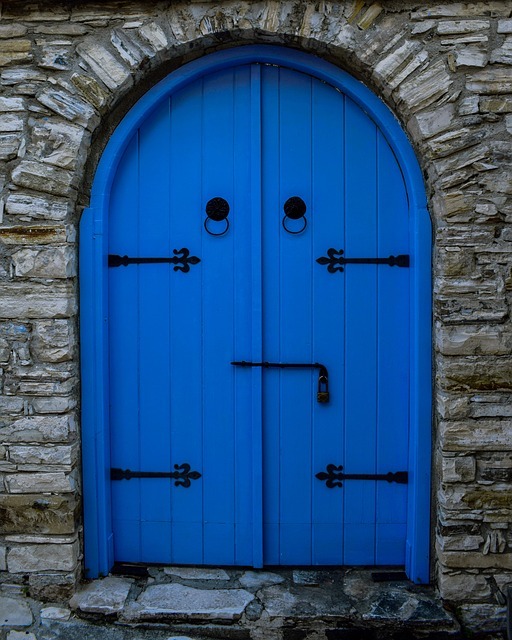 Why have a ‘closed door’ policy? Home-based business operators have specific challenges when it comes to finding a good balance between their work and the rest of their lives. One of the strategies for finding that balance is to have a ‘closed door’ policy. Having a ‘closed door’ policy creates a physical boundary between your work life/place and your non-work life/place. This helps you ‘switch off’ while you are not at work. 1. Keep the office door closed except when entering or leaving your office. 2. When you are in your office, at work, don’t allow yourself to be disturbed by anything outside that door until it’s time for a coffee break or knock-off time. 3. When you take a break, really take a break. Leave the office and close the door and don’t go back until you have finished your break and are ready to work again. 4. When you finish work and leave the office, always close the door. This physical closing-of-the-door helps your work brain to switch off; this enables your non-work brain to switch on, allowing your brain as well as your body to ‘knock off’ work. 5. After your work has finished for the day, do not open that office door. That is, no popping into the office to make a quick business phone call or shoot off an email outside your official work time. Leave those tasks until you have officially started work again the next day. 6. The only exception to the item (5) is when, say, you suddenly remember an email you really have to send today, or you’re working on a project that needs you to be on-call for a client or subcontractor. In that case, you may have to go back to work in the evening; but if you have to do this, don’t treat it as ‘just popping into the office’. Call it ‘going back to work for half an hour’ and, again, make sure you close that door while you are at work. So that when you finally finish work for the day, you can again close that door on your work, and your ‘work brain’ activity, until the morning. In the real world of running your business, you won’t actually stick to all the above rules all the time. For example, when you take a break, you’ll go out of the office to make a cuppa but then you might take it back into the office to drink it while you continue to read your emails or reports (as if it’s possible to have a real ‘coffee break’ while you’re working). But the busier you get at work, the more important it is to make sure you switch off your work while you are not working, to allow you to relax mentally and physically, and to recover from that work. Otherwise, you’ll eventually burn out and be no use to anyone. So, when things get very busy, try to stick to all the rules in the above policy. For other articles about work-life balance, especially for people who work at home, go to: Blog – how to achieve work-life balance. Sally-Anne Watson Kane is owner-operator of On Time Typing, a scribing, editing and proofreading business. For information about the On Time Typing team, go to: About us.